We are very excited to welcome back Shannon Ferrara, LPN to our team. Shannon is our Medical Aesthetician and will be working with Dr. Alan Burke providing laser services to our patients. Shannon is a great addition to our practice and will be offering her laser services in addition to her knowledge of medical grade skincare and skin health. We have many different services available here at to help you look your best in 2019! 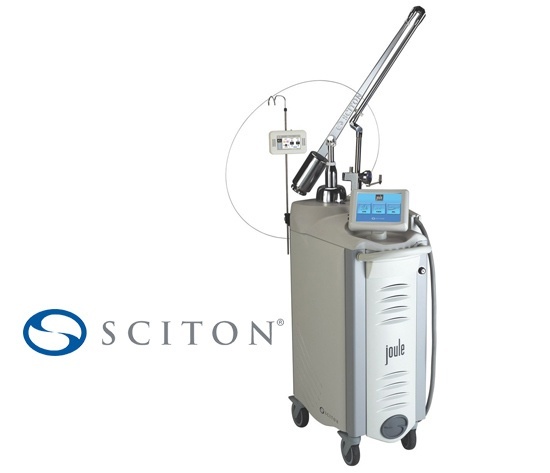 The Sciton Halo laser precisely targets years of skin damage and the visible signs of aging. You will see improvements in overall tone and texture in addition to significant removal of discoloration, reduction in the appearance of fine lines, reduced pore size, skin reflectivity and glow. BBL address your most common skin concerns with the power of light. The light energy delivered by BBL will gently heat the upper layers of your skin. The heat absorbed by the targeted areas will stimulate your skin cells to regenerate. This corrective process will restore your skin to its natural beauty, making it clearer, smoother, vibrant and younger looking. BBL allows your clinician to treat age spots, small facial veins, and many other skin conditions. BBL stimulates cells to regenerate, and typically with the first treatment you will start to see smoother, more even and vibrant skin. The photothermal energy will eliminate fine vessels that cause redness and reduce unwanted melanin that produces age and sun spots. Your skin will feel smoother, pores will be less noticeable, and uneven pigmentation will fade. technology the world’s most powerful IPL (Intense Pulsed Light) device on the market. It sets new standards in treating skin conditions associated with aging, active life-styles, and sun damage. SkinTyte treatments are safe for all skin types and can be performed on any area of the body where an improvement in the appearance of sagging skin is desired. Popular areas include the face, neck, abdomen and arms. SkinTyte is a generally quick, comfortable procedure, with typically no downtime. The end result is a more youthful appearance. of your body can be treated. The most commons areas are the face, under arms, arms, legs, bikini area, chest, shoulders and back. The result is hair removal that’s more comfortable, safer, and typically faster than other traditional treatments. Forever Clear BBL is a cutting-edge acne treatment that uses the power of light to comfortably and effectively clear acne without creams or medicine. BBL is the world’s most powerful IPL (Intense Pulsed Light) device delivering light energy deep into your skin to help treat acne, leaving you with clear, healthy, radiant skin. Most areas of your body can be treated. The most common treatment areas where acne is found is on the face, neck and back.